A common opinion since the end of the happy nineties in Stockholm is the claimed death of Swedish hip-hop. Swedish rappers might not earn money like their colleagues on the other side of the Atlantic Ocean, I mean, the richest one is probably Petter, and he’s leasing a Lexus. That’s about it. The creativity, however, is very much alive. M. Sakarias is a part of prodigy group Vendetta , big brother of Lorentz , all mighty master chief of Baseline Music and very, very ambitious. 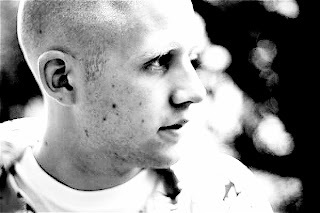 This is one fine piece of evidence that Swedish hip hop is very much alive. Go download the M. Sakarias mixtape, vol. 1 now, it’s for free! 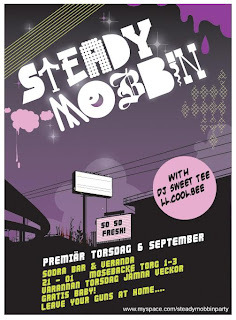 I must of course big up our friends at Steady Mobbin too. They ‘re opening their new club at Sodra Bar (Slussen, Stockholm, Sweden) this Thursday. You need to check it out. We’re expecting a chilled atmosphere, beer in small bottles of glass and well mixed hip-hop from LL.Cool.Be and Sweet-Tee (Who used to play at Speakeasy, the purest lounge rap perfection). It’s free, so be sure to show up!